If you want a blend of French fashion and a mix of Hollywood glamour, then the Sofitel Los Angeles at Beverly Hills is the hotel for you. 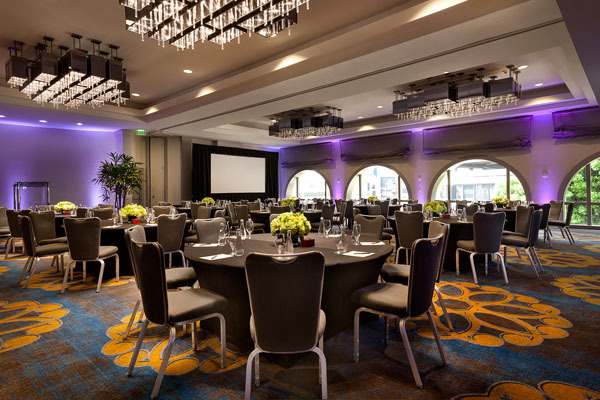 With award season in full swing, its impeccable location at the intersection of West Hollywood and Beverly Hills the Sofitel is the perfect embodiment of movie star glamour mixed with a sophisticated European cosmopolitan flair. 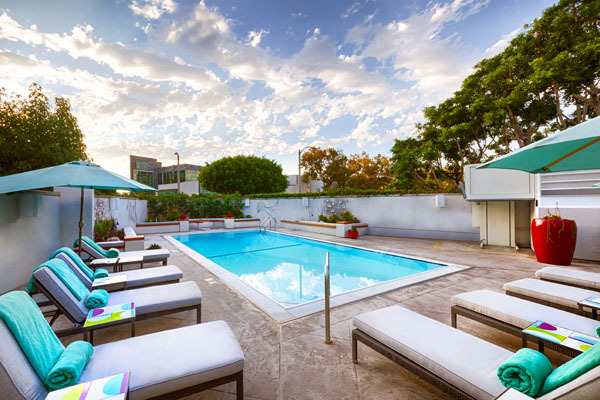 The Sofitel Los Angeles at Beverly Hills offers a variety of state of the art room options from the, Superior Room, Beverly Luxury Room, and their Hollywood Hill View Luxury Room. 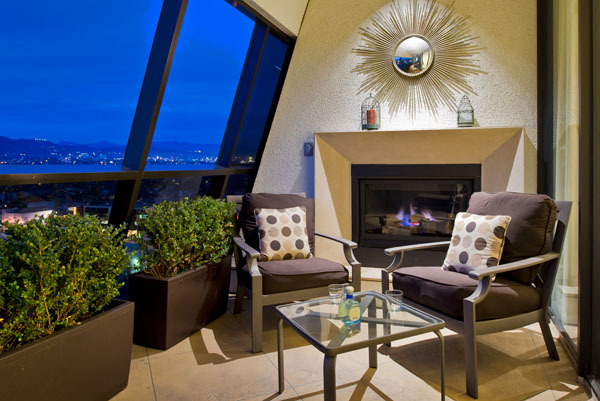 The Sofitel Hotel emphasizes luxury which is evident in the design of every room that features an abundant daylight and a soft color palette with views facing the Hollywood Hills or Beverly Hills. With big featherbeds to their huge rain showerheads, and suites with French doors that open out to a balcony, this hotel wants each guest to be able to have the most luxurious stay they possibly can. 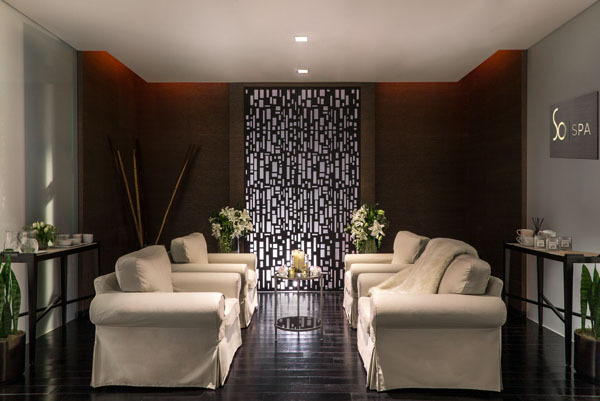 Before venturing out for a night out in Los Angeles, be sure to indulge yourself and find your inner beauty at the SoSPA, located right in the hotel. Their pampering treatments make each guest feel alive and refreshed that satisfies from head to toe. Sofitel Los Angeles at Beverly Hills, offers elegant dining options that guests and outside patrons can come and relax and enjoy some Hollywood fun. They offer and alluring indoor/outdoor restaurant and bar spaces that are trendy and have a timeless vibe. Delight your taste buds with the three different dining options: Riviera 31, Le Jardin, and Esterel. Riviera 31 is a sophisticated lounge that offers musical entertainment and a mixology of cocktail creations. 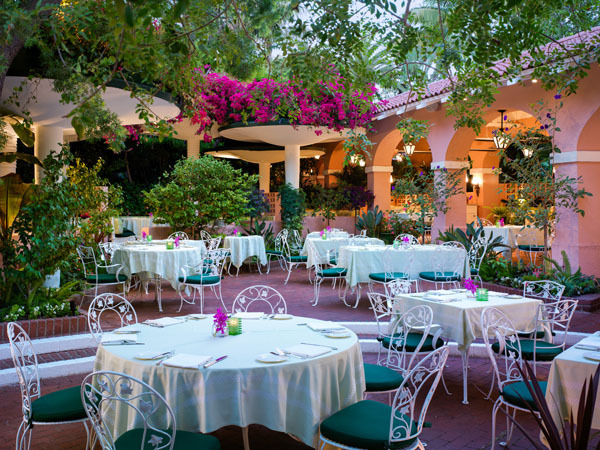 Le Jardin is a beautiful outdoor seating dining area that exudes a French vibe. As a garden patio dining space, this location is perfect for a relaxing lunch with the ladies or just enjoying a nice glass of wine after a busy day. Finally, their famous restaurant Esterel, is named after the southeastern mountains in France in an elegant and sophisticated ambiance. Sofitel Los Angeles at Beverly Hills is ideally situated in the middle of a world class shopping mecca with the Beverly Center across the street and a short drive to Rodeo Drive. If you are looking for a glamorous yet European getaway pack your bags now and go check out the Sofitel Hotel in Beverly Hills for an unforgettable getaway. 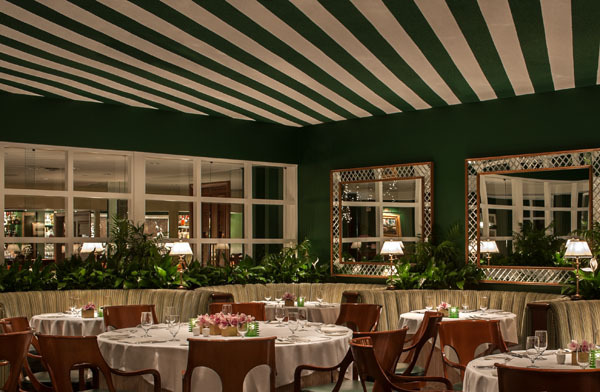 Experience the height of Old Hollywood glamour and celeb spotting at the renowned Polo Lounge situated inside the iconic Beverly Hills Hotel. For decades this glamorous hideaway has played host to Hollywood royalty and dealmakers, and it’s easy to see how this legendary spot has retained its position amongst A-listers over the years. Guests will feast their eyes on this charming establishment, lathered in style, class, elegance and opulence. The dark green poles, blend with the leather chairs and contrasts smoothly with the wooden oak tones and pops of fresh colors from the flowers and booths. 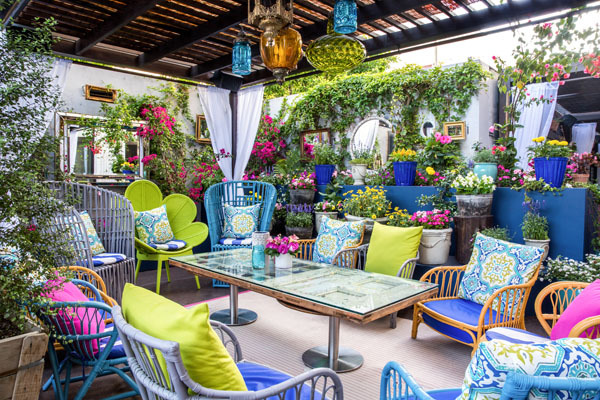 The Polo Patio is a spectacle of bright, vibrant colors, dancing off the palm trees and gliding across the pristine white tables and wire frame chairs. It is one of Los Angeles premier and prettiest outdoor dining settings- something you would see in a movie. As for the food, American cuisine with an Italian edge is the essence of the menu. Diners will indulge in Sunday brunch items such as lobster avocado toast, truffle eggs benedict or a brunch burger with ground sirloin, thick-cut bacon, avocado, fried egg, chipotle aioli and French fries. 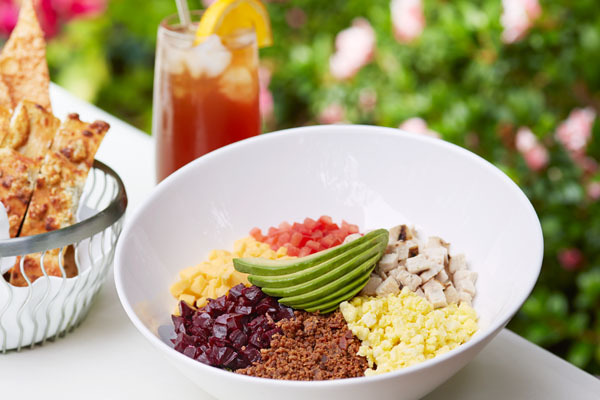 To accompany this delectable food, opt in for a classic mimosa or bloody mary. The desserts are also a fan favorite with options like a scrumptious berry pavlova, a naughty kahlua tiramisu and a luscious chocolate pot de crème served with pistachios and whipped cream- and who knows you may witness the next Oscar winner in the making.